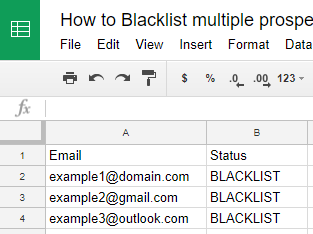 B) Status – with the word BLACKLIST in each row. When the file is ready, open the Prospects menu, then click "Add prospects" on the right, and select "Import". 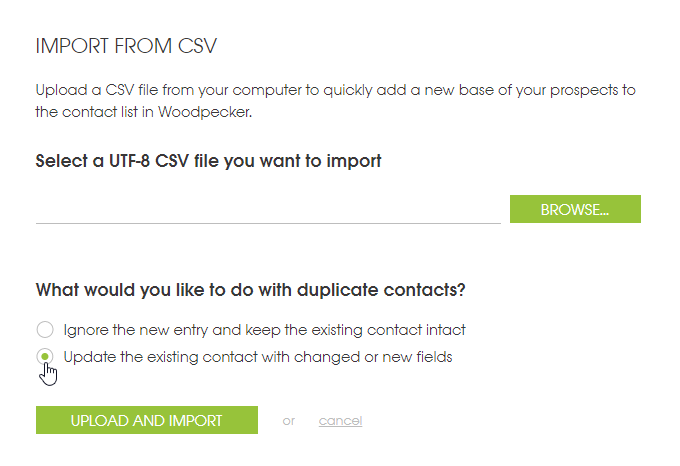 When importing the file to Woodpecker, make sure to select "Update the existing contact with changed or new fields" (otherwise this will have no effect!). 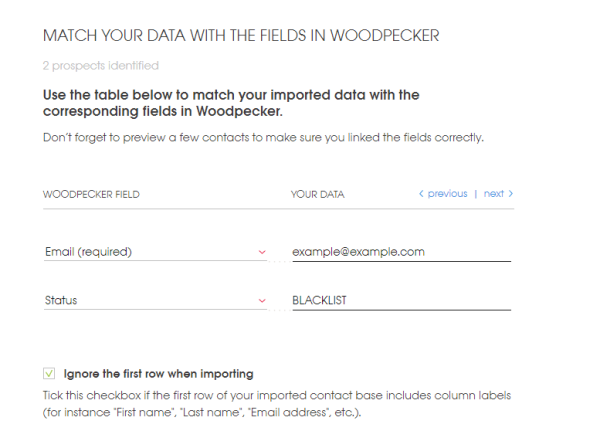 Match the columns from the CSV file with those in Woodpecker. If you created column headers in the first row, tick Ignore the first row when importing. If you wish to block entire domains instead, we have a different solution for that. This guide will take you through this process.